Let’s face it: Adam Sandler hasn’t exactly been known for his hits in recent years. Even the most devout “Billy Madison” fan can say that they’d be hard-pressed to pay good money for a new Sandler film. Atrocities such as “Jack and Jill” and “That’s My Boy” didn’t even need to show more than the trailer to audiences for them to be critically reviled. However, despite the bad luck Sandler seems to have fallen on lately, “Hotel Transylvania” is a scarily stark contrast to his other recent works. In fact, it’s one of the better animated movies to have been released this year. Sony Picture’s “Hotel Transylvania” is very much what the title suggests it is; a fun-filled movie about a hotel for monsters. The film follows Count Dracula (Sandler) and his daughter Mavis (Disney superstar Selena Gomez) as the Count comes to deal with Mavis’ budding curiosity about the world around her. Dracula has kept her within the confines of his hotel as a promise to his late wife Martha, believing that this hidden hotel keeps Mavis safe from the ferocity of humans and their intolerance for creatures of the night. While planning an elaborate 118th birthday party for his daughter, the Count discovers that a human backpacker named Johnny (“SNL”’s Andy Samberg) has stumbled upon the supposedly concealed hotel and chaos ensues. Dracula tries desperately to get Johnny to leave but to no avail, as Johnny is fascinated by the thought of being around real live monsters. Throughout the film, Count Dracula goes to great lengths to hide Johnny’s identity as a human from the other monster boarders. 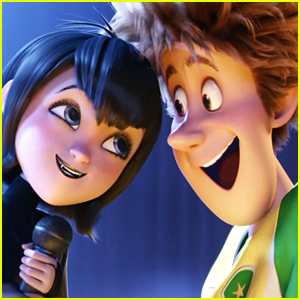 This doesn’t come easy as Mavis falls for Johnny (disguised as Frankenstein’s long lost cousin) and the Count must accept the fact that his little girl is growing up as well as learning to let go of his bias toward humans. A star-crossed friendship develops between the teens because, of course. Photo from Just Jared Jr. The plot is set against the backdrop of a creepily fascinating hotel, featuring everyone’s favorite monsters. The all-star cast includes some of Sandler’s frequent collaborators, such as Kevin James as Frankenstein and Steve Buscemi as The Wolfman. Besides the usual suspects, the tremendous voice talent also consists of David Spade, Fran Drescher, Cee Lo Green and Molly Shannon playing a bevy of characters ranging from the Invisible Man to Frankenstein’s Wife. These side characters steal most of the show, poking fun at Sandler’s portrayal of a Dracula who’s been hurt by the loss of his wife is surprisingly poignant. The father-daughter relationship between the Count and Mavis is typical to what has been featured in animated films before; with the rebellious daughter acting as a foil to her overprotective father. Yet, Sandler and Gomez are genuine with their performances, avoiding beenign too saccharine with their characters’ relationship. 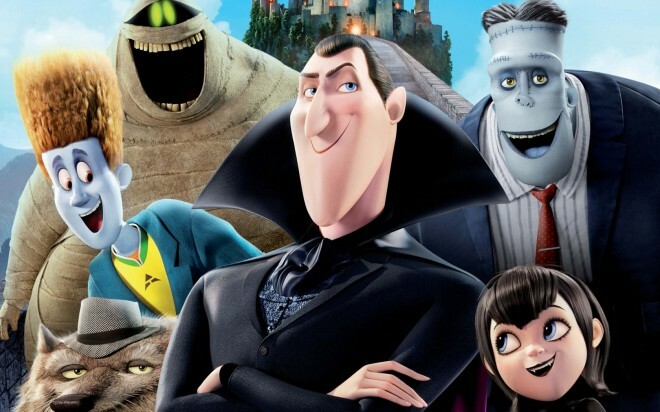 “Hotel Transylvania” is surprisingly funny, with laughs for the adults as well as the kids. There’s even a jab at the popular vampire series “Twilight” that’s sure to provoke some chuckles. The film brings about a sense of nostalgia for the older moviegoers, channeling the monster pictures of yore (with less terror, of course). The kids should be highly entertained by the gratuitous slapstick humor sprinkled throughout the film. Director Genndy Tartakovsky’s name should ring a bell to fans of “Dexter’s Laboratory” and “Samurai Jack,” two staples of Cartoon Network back in the day. Tartakovsky does a nice job in his feature-film debut with a clever script by “SNL” alum Robert Smigel. If there are to be any complaints about this hair-raising spectacle, it would be that the animation falls flat in comparison to the masterpieces from Pixar. The movie’s ending also seems to wrap up a little too neatly, despite the main target audience being children. In spite of these flaws, “Hotel Transylvania” is a wonderful way to start the month of October and get audiences ready for Halloween. If Sandler sticks to well-written family comedies like this film, he may just get out of his funk. Let’s just hope that he doesn’t try to scare us with “Jack and Jill 2” in the meantime.